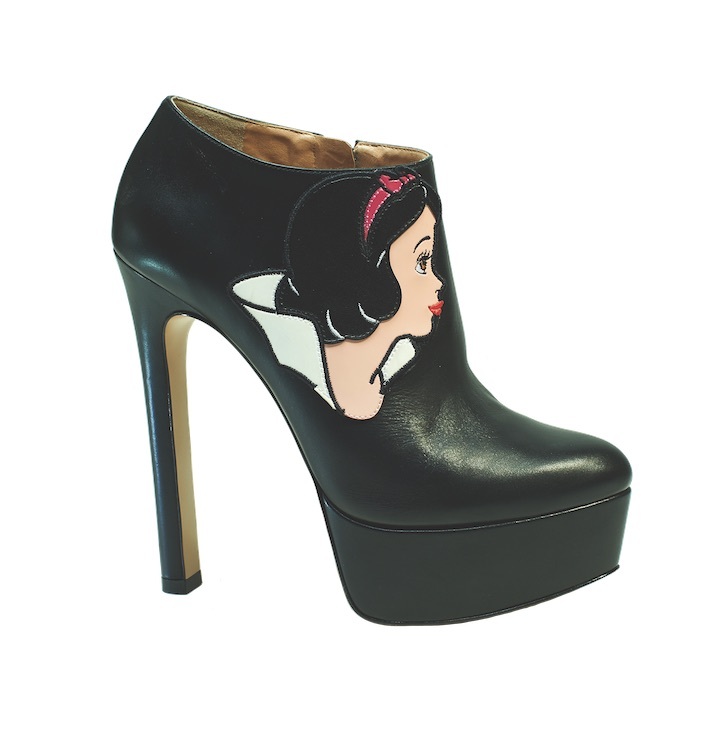 Ruthie Davis’s signature platforms and stilettos have graced many a famous foot. 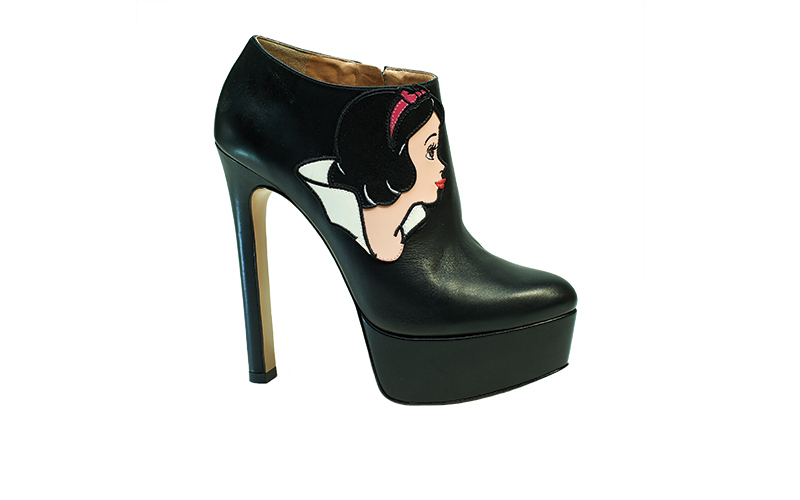 Davis just launched a collection devoted to one specific celebrity: Snow White. 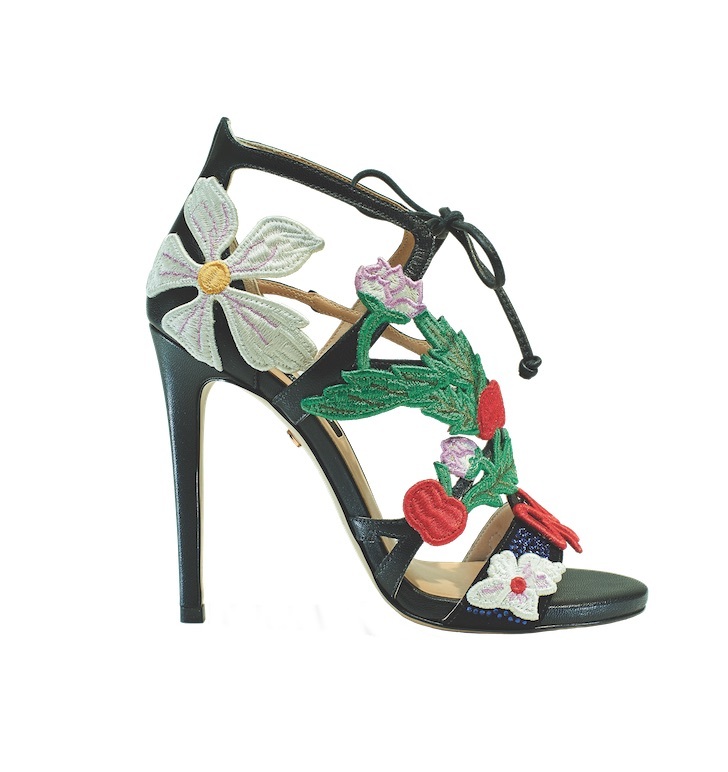 There are black booties featuring the raven-haired beauty, velvet ones with her whistling helpers on the Lucite heels, and the more interpretive blossom-covered strappy sandals ($498-$798). 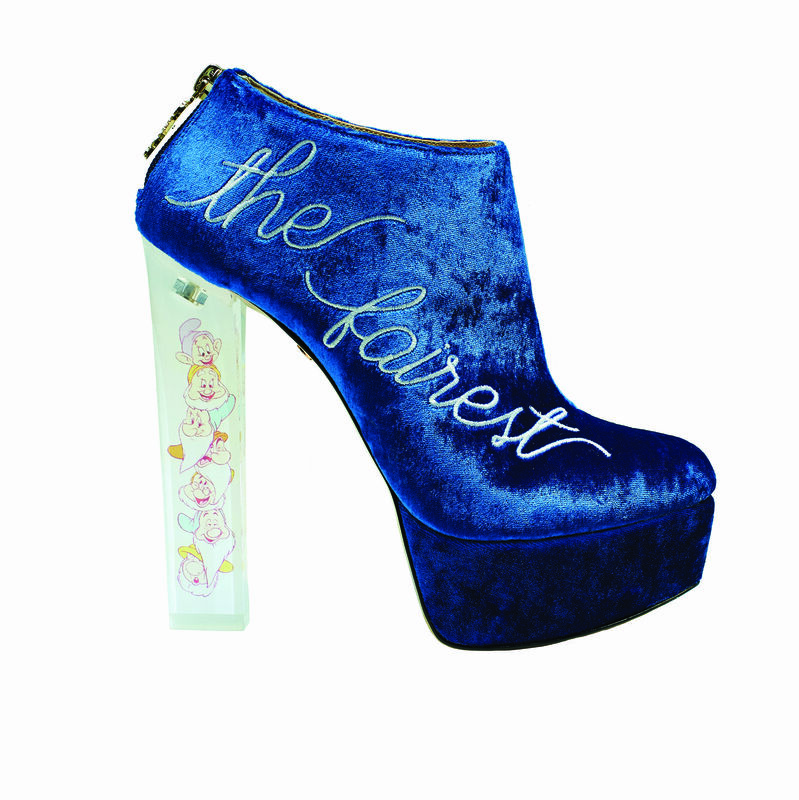 The first in a series of collaborations with the House of Mouse, the high heels are a far cry from what you’ll find on Main Street.